Confession of a Die-Hard Makeup Junkie ❤: Shuhui's Flea Market (Part 2) - BRAND NEW CLOTHES FOR SALE!!! Shuhui's Flea Market (Part 2) - BRAND NEW CLOTHES FOR SALE!!! SHUHUI'S FLEA MARKET ON 7TH AUGUST, SUNDAY!!! BRAND NEW DRESSES / ROMPERS @ $18NETT EACH! BRAND NEW SKIRTS/SHORTS/TOPS @ $12NETT EACH! GET 3X FACE MASK FROM THE FACE SHOP FREE! I will be selling some of the following!!!! :) Very nice PINK dress! Look exactly THE SAME! :) A MUST-HAVE Maxi dress for ALL babes out there! Can be wore either a Tube Dress OR Halter Dress! A very sweet dress with Elastic band at Chest area for ALL sizes! Can be wore for dates, work, casual girly outings too! MY FAVOURITE!!! Available in RED & Navy Blue as shown! 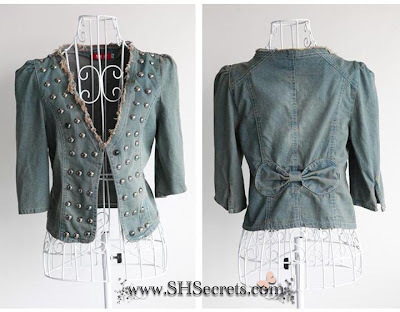 Excellent Jacket for both Work and School (Presentation)! Looking Chic & Hot this Summer WITHOUT feeling the temperature! Who DOESN'T LOVE Demin jackets?! Comes in size M and L!!! 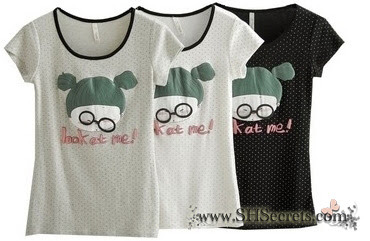 :D A VERY CUTE top with 3D Specs for the 'Grandma'! Awesome piece of knitted top for Work and Date! Hence, do let me know if you guys will like to purchase any of the following and I'm BRINGING MORE items for the Flea as well! [Mobile Upload] Happy BDay SG!! !